Left Brassica sp. Jerf el Ahmar. 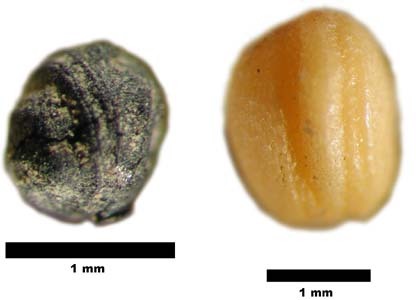 Right Brassica nigra example of a small seed with the testa removed. 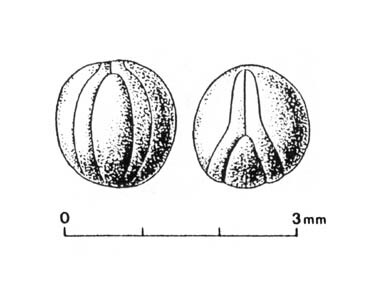 Van Zeist & al, 1986, Palaeohistoria, 26, fig. 2.